a three month, high-level, VIP group coaching experience for couples who want to uplevel their financial partnership, and singles preparing to build an extraordinary money relationship with their future partner! However, that’s not the only way. When we have support to transform how our unconscious relates to money, and when we learn how to put in place effective money habits, a powerful financial vision, and most of all, an exciting approach with money that's fun, creative, and even magical — a new path becomes available with money. ✓ Responsible and healthy with money? ✓ Empowered, radiant, and confident in your relationship with money? ✓ Clear, grounded, and in charge of your finances? ✓ Intentional, aligned, and energized when it comes to managing your money? ✓ Abundant and secure about your financial future? ✓ A clear trajectory to transform your money shadow into money wisdom? ✓ Supportive money habits that grow your financial flow? ✓ A clear financial vision, and a plan to get there? What if money is a powerful force that can fuel the life experiences you desire? What if managing your money can be fun, creative, and magical? ✓ You’re looking forward to the future together while you enjoy each day of the life of prosperity, fun, and creativity you have created as a partnership! Are you ready to create a financial partnership that’s solid and prosperous? To enjoy a flow with money that’s clear, consistent, and abundant? To experience money as a powerful fuel that supports your greatest dreams into being? To see your finances reflect your relationship — rich, passionate, inspiring and connected? 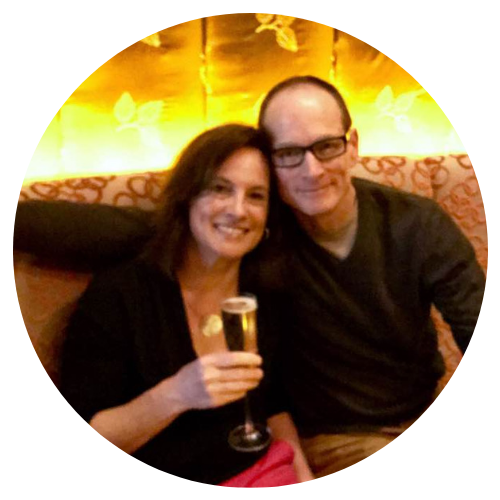 The Practical Money Magic Couples Immersion is a three month, VIP high-level group coaching experience that provides you every week with a live masterclass, group coaching, and in-depth lesson plans for you to learn the fundamentals of practical money magic. We address mindset, how to transform the way your unconscious mind relates to money, and how to craft and realize your financial vision as a couple no matter where you are right now. We also learn and implement practical tools of financial management like creative budgeting, debt-resolution, setting up effective tracking systems, building up savings, how to achieve purpose-based income, and more. What’s unique about this program is that we learn and apply both the MINDSET and the PRACTICAL TOOLS that create real, lasting financial success. We approach the journey of money mastery as a fun, creative, and magical adventure, your very own hero’s journey where you will go from money novice to money master, and transform yourself, your relationship, and your financial life in the process. The week-to-week model helps you stay steady, accountable, and committed to your shared vision and goals. Life can get busy, and the journey promises to have its ups and downs, requiring courage and commitment to see your vision through! I, as your financial mentor, will be here to support you all along. ✓ A high level financial mentor with over two decades of experience in personal and corporate finance. ✓ A solid curriculum with a clear trajectory to take you from confused, overwhelmed, or resistant with money, to clear, prosperous, and confident with money. ✓ Continuous support and accountability as you work your way to your financial goals. ✓ A masterclass where I teach you everything I know about money mastery, one step at a time. Each week we will focus on a unique topic you can implement in your life right away. ✓ Opportunities for Q&A where I answer your personal questions in real time. ✓ Training modules, including inspiring course material and an insightful fun sheet to support your individual money journey. Each week, you will be part of a live masterclass via video call, where you will have the opportunity to interact and ask questions. You will also receive supportive course material via PDF, and weekly homework (action steps and exercises!). The cost of the program is $1,500, to be paid all at once or in three installments of $555. Access to a computer or phone to access the video calls, and a minimum of 2 hours per week to invest in applying the course material. Who is the PRACTICAL MONEY MAGIC Couples Immersion for? All adventurers. Whether you’re beginning your journey with money or you’re already consciously managing your money, this membership is designed to help you actualize your full financial potential, and to support you in continuing to uplevel once you get there. Couples and singles. This is for you if you’re a couple, or if you’re in a relationship but at this time you’re the one who’s ready to step up with money. Or maybe you’re single and you want to prepare to create a rock solid, passionate, prosperous financial partnership with your future partner! People who want support and accountability. Those who have come to master money most likely didn’t make this journey alone! As a matter of fact, most money masters have had guides and allies. As a seasoned financial coach with consistently high success rates and a deep passion for the money mastery journey, I’ll be your mentor. Meanwhile, you'll also have access to your peers to cheer for you, share inspiration, creative ideas and constructive insights. People who currently feel confused, chaotic, or overwhelmed with money. No matter where you are in your journey with money right now, this Group Coaching Immersion provides a clear trajectory as well as weekly support to bring you to clarity, consistency, serenity, and eventually, a level of financial confidence you didn’t even know was possible! People who find financial management dry, boring, or uninspiring. My zone of genius is to open up new doorways with money that suddenly makes the journey fun, creative, and magical. Are you ready to re-discover your relationship with money? People who have resistance with money but feel ready for a new way with money. You may have felt resistant or unconscious with money so far, but you feel something else is possible. Together, we will learn a new path with money that allows you to feel clear, grounded, mature and responsible in the way you relate to and manage your money. This level of empowerment will bring you joy and fulfillment that become energizing and open up exciting possibilities for your life. People who want to learn the practical AND the magic of money. You want to learn how to implement effective financial systems that will not only make your life easier but will bring you a new level of peace and clarity. You have a sense that your relationship with money and with each other could be EXTRAORDINARY, and you’re ready to take the leap to a new path that will not only grow your money, but also support you to become the best version of yourself. ✗ A “get rich quick” scheme. ✗ Just about manifesting and the Law of Attraction, or just about the ABC’s of financial management. This is a unique approach to money mastery, developed over my 12+ years as a financial coach, a signature process I take all my clients through, blending both the practical and magical principles of money mastery. ✗ For you if you’re not ready to open to a new way of doing money. You will have to take responsibility for your money story, and the money beliefs that are asking to be healed and transformed. You will need the courage to face your money shadow and take action. You’ll have to be WILLING to open to a new potential, and a new relationship with money. The results will be immeasurably rewarding. A couple came to me, both entrepreneurs. Patrick had a sizeable production company, while Tara worked on dance and yoga-related projects. Patrick wanted to grow his company, and they were having a lot of challenges being on the same page with money. Tara was really afraid of all of the risks he was constantly taking in his business, and she felt like he wasn’t generating enough money compared to his earning potential. They were experiencing constant tension because there just wasn’t enough money to go around. We started by working on their individual relationship to money, so we could shift the underlying fears that triggered conflicts between them. We addressed the root cause of their unconscious money beliefs, and created a new internal money architecture that would yield a more balanced, healthy and harmonious relationship with money for both of them. Then, we addressed their issues as a couple — fears of not being on the same page, of not having the same vision, and of not having enough money. We identified their strong skills, and who would be the CEO (the vision-holder) and the CFO (the money manager) in the relationship. We worked on how Tara could support and trust Patrick to be empowered in his income generation, trusting this would eventually support both of them. Practically, we created a budget to create total clarity in their spending, and established some solid financial goals along with a foolproof tracking system. Within a short period of time, Patrick’s business went from making 200K a year to 1.5 million. With the foundation in place, we set higher and higher income targets to continue to uplevel. And soon, his business became a 5 million dollar company. As Tara and Patrick came together in their financial partnership, they were able to fully enjoy the fruitfulness of the business in their personal lives. I created this online immersive group coaching experience because I want to share the possibility of true financial success for every couple! The truth is, most of us never get a financial education. We never learn how to relate to money in a healthy and empowering way. Yet it’s entirely possible for you to have a fulfilling relationship of security, abundance and serenity with money and each other. While 1) there’s been a waitlist for my one-on-one financial coaching for months with no sign of it slowing down any time soon, and 2) not everyone can afford my one-on-one services, the Practical Money Magic Couples Immersion is an incredible opportunity to learn the ins and outs of building a rock solid financial partnership, while receiving ongoing support from a seasoned financial mentor (me!). The Practical Money Magic Couples Immersion is a space brimming with creativity and potential, where motivated couples can show up to harness their financial power and create the life they dream of by learning and practicing the keys of money mastery. Sessions where we talk about finances are no longer the procrastinated guilt-filled hour we both can’t wait to escape. We’ve learned that money is simply energy and focus, and how we spend it is how we spend our life. The vision of our destination is now clear, so our choices to get there are clear. Our cherished dreams – my childhood National Velvet fantasy of horse ownership; a family trip to Hawaii paid with cash; owning our home, remodeling our home, golf outings – have all become reality. It has impacted our relationship for the better, 100%. Before working with Joetta, we had very separate experiences of money and did not share much about what was happening in our bank accounts. It felt like the very opposite of transparent! If there were conversations about money, they felt tense and slightly doubtful. There was also debt-ing and it felt like money was leaking through invisible holes. Since our partnership with Joetta around our finances, we have more clarity around our current financial situation and also more vision around where we want to be, so we can work towards something. We have explored areas of our subconscious where we wanted to hoard money because of fear that we won't have enough. Letting go has brought in more financial abundance and flow than we ever thought was possible. We are grateful for joining forces with each other and Joetta in this coaching realm because now our financial conversations are more clear and compassionate and there is more accountability coming in. Joetta's capacity to continue to offer honest reflection has supported us to a point where we are gaining traction out in the world with more clients coming in for both of us, giving us an opportunity to make more money. We are also moving to a new city where there feels like a lot of abundance coming in and creating a situation for supportive cash flow. Some milestones for us are that we have reined in the use of credit cards, are paying down debt and already have one card paid off, we bought a car, expanded our cat family, and are able to role-model conscious money spending with our kids. None of this would have happened on our own and we are so grateful for the choices we have made and continue to make with all that we learn from Joetta! For the first 9 years of our relationship, my husband and I didn’t have a shared language to use to talk about money. Having similar individual philosophies towards money got us pretty far, but whenever there was a question, we found we didn’t really understand where the other of us was coming from. When I began thinking of quitting my job, we really started having issues. Joetta was recommended to me by a friend along with the description that she was more than a financial coach, that she would work with us to develop a financial framework that truly aligned with our short-term goals, our long-term vision, our personalities, and our personal history with money. She has delivered on that description and then some. We’ve begun tracking what goes in and out in a way that is easy for our respective personalities to deal with, created a yearly budget that aligns with our intentions for where we want our money to go, and delved into some visioning work around achieving our goals and dreams. Perhaps most significantly, my husband and I now have open, honest, and fruitful conversations about our finances that are incredibly empowering to us both. Joetta is incredibly easy to talk to and her approach is both structured and intuitive. She has had an incredibly positive impact on our lives. Joetta is an integral part of our success because building a business is not for the faint of heart! Even more so when your partner in business is your partner in life. We know it makes a difference that we are coachable and courageous, so we can fully go into our growth edges. It's really important to us that everyone on our team pushes for higher levels of success together. Joetta has been a part of that team and for years she has helped us navigate business and personal growth along with celebrating the accomplishments. She guides our financial education and business building processes and we get to learn by sometimes "failing forward". It has been our pleasure to work with her and we recommend Joetta to those who seek financial balance in life while building a thriving business. Joetta Johnson was a revelation. She’ll be the first to tell you she’s not a therapist, but we told ourselves she gave us the best marital therapy we’ve ever had. 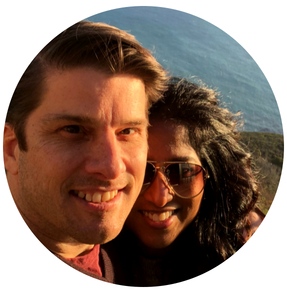 Joetta helped us understand our relationship to money—getting it, spending it, and keeping it—in clarifying and deeply helpful ways, and how the way we thought about money affected our marriage. Working with Joetta is, indeed, work. But the result for us has been a greater sense of control over our finances and our careers. If any of the above resonates with you, you’re in the right place. Even if you feel nervous at the idea of taking a deep dive into your money, I’ll be with you every step of the way. You deserve a thriving financial life. Neil and Summer were feeling really lost around money. Summer worked at a non profit agency, while Neil had his own business. They were struggling with having a lot of debt and no savings, and weren’t sure how to successfully get out of that situation. Together, we discovered that Summer was better at handling the day-to-day details of money management, while Neil was gifted at seeing the bigger picture of their financial life and generating income. We set some financial goals, and tied them to what was important to them, to infuse these goals with meaning and power, which naturally fostered momentum and motivation. These were goals like remodeling their house, being able to buy a new car, and generating more money to support their children and their education. Understanding their partnersip values and common goals helped Summer and Neil get on the same page with their money. They enjoyed understanding their gifts and talents with money, and who would do what on a day-to-day basis with the finances. We set up a budgeting and tracking system to reduce their spending and build up some healthy savings. They learned how to build a successful periodic savings account, saving for things like car maintenance and repair, home remodeling, medical bills, and unexpected expenses. This savings account helped them tremendously, as they no longer had to utilize any debt because they had the resources to pay for needs as they came up. Once that account was built, they were able to establish a prudent reserve, and establish a dreams and goals savings account that they could save for travel. Soon, they were able to start paying for travel in cash instead of a credit card. They got out of a significant amount of debt, and suddenly had huge success with manifesting windfall money. Neil’s income began to grow steadily. With their increased financial flow, they were able to do a big remodel on their home, get the car they wanted, travel more, get entirely out of debt, have solid savings, and experience an overall greater level of financial well-being. Their financial well-being was reflected in the quality of their relationship, and the well-being they were able to experience as a family. If I’m single, can I participate? Yes. This program is perfect for singles who are preparing to create a rock solid, passionate, prosperous financial partnership with their future partner! I’m in a relationship, but my partner isn’t interested in taking the program with me. Can I take it on my own? Absolutely! If your partner isn’t feeling ready or available to take the program with you, you can still participate on your own and learn the ropes of money mastery, and bring home some solid knowledge, transformation, tools and practices that will tremendously uplevel the financial life you share with your partner. For you to be successful, you will need to commit to investing your time and energy each week, to attend live masterclasses and do your homework (exercises, practices and questionnaires that will come along with each module). You will need to invest a minimum of 2 hours a week. How does your approach differ from other financial coaches? What's unique and transformative about my work is the way I blend the practical aspect of finances (like budgeting, tracking, saving and debt-resolution) with the magical — how to partner up with the cosmos to transform your inner money architecture and realize the prosperity and well-being you desire. I have a high success rate and I’m highly passionate about getting you to experience total financial liberation! I’ve tried other money-related courses and they haven’t worked. This is an inside out approach. I’m most passionate about getting to the root causes and conditions that hold people back from experiencing their financial potential. Just having the practical nuts and bolts of money will never get you to a completely different experience with your financial life, because it’s just information based. People have this idea — I just need a budget, and the budget will solve everything. The solution comes from having a money mindshift along with implementing tangible money practices and habits that are consistent over time. They go hand in hand. I don’t just teach you the practical because it’s limited in its success, I teach you how to be in a powerful relationship with money that’s dynamic and ever-evolving. Unlike other finance professionals and money courses, this type of financial immersion brings practical money mastery skills together with inspiration, fun, and creativity! You don’t have to be bored or exhausted in the process. We’ll make it magical, exciting, and powerful. I currently make little money or am unemployed. Will this program be beneficial for me? Yes! Wherever you are in your journey, it’s never too late or too early to build a powerful, solid, fruitful, and prosperous money architecture, from the inside out. Taking this program will support you to achieve purpose-based income, uplevel your financial flow, and most importantly, shift your unconscious mind so you experience an extraordinary and fulfilling relationship with money. I make a lot of money, but I don’t always know how to manage it. Will this program be beneficial for me? Absolutely. In my 12+ year of experience with my coaching clients, I’ve seen many fantastic income generators, inheritors, and prosperous entrepreneurs who felt lost or unclear with managing their money. The truth is, whether we have lots of money or little of it, to experience true and lasting financial success, we all need to address the beliefs and shadow that live in the unconscious, and hold us back from the life we most desire. This program will take you through that initiatory process, as well as some effective tools and practices to manage your money in the long-run. Kate and Jason came to me because neither was successful with generating much income. Jason was living off of the equity in his house, while Kate had very little income coming in. When we started looking beneath the surface, it became clear that the root cause of Jason’s lack of money had to do with his relationship with his father, and his father’s relationship to money. His father was a doctor, and while he made really good income, he wasn’t available because he was working all the time. Because of his dad’s absence, Jason grew up to resent money. He held unconscious anger and resistance when it came to money, and as a result, on some level, he didn’t really care about generating income. We worked on healing this relationship, and setting a new infrastructure with money, both internally and externally. Jason realized he didn’t have to do it in the same way his father did. As Jason opened up to seeing money as a friend, and claiming an empowered relationship his money, his financial flow quickly began to transform. Meanwhile, Kate also happened to have money blocks due to her relationship with her father! She really wanted to make her own income, but she kept receiving income from her father, and this financial dependency created a sense of inner conflict and dissatisfaction in her. We began to work on shifting this underlying dynamic, so she could open to whatever channels the Universe wanted to drop the flow of money through. As she released this inner conflict and opened to a new possibility with money, she realized how passionate she was about her meditation practice, and soon, she became a meditation teacher. She started holding retreats all over Europe, and experiencing an increasingly prosperous lifestyle, while feeling the fulfillment of contributing to the world and to her financial life in a way that felt aligned and joyful. Today, Kate and Jason are both financially secure and successful. Working on their relationships to parental figures and overcoming the shadow side they experienced in those relationships allowed them to find financial liberation and empowerment. Taking the immersion on your own? I can't recommend Joetta enough. She's worth every penny. My income almost doubled and I'm not exaggerating. Not only did Joetta reorient my views around money and the energy of finances, but she helped me clear up long-held disempowering beliefs that were not working in my favor. Since our time together I have not only seen my financial landscape change but additionally my inner landscape as well. While going through a divorce I was overcome with fear about the future, anger over the past, and of course, my financial situation was completely up in the air. Joetta helped me put all of this to rest, to change the story I had around money by removing the fear I had of it. I came to this work with a huge mess both internally and externally. The mirror image of messiness. Joetta helped to address the mess outside and then use those uncomfortable situations as a wake up call to the internal dynamics. I was able to come to terms with deeply held beliefs about money and begin to shift not only my inner state but my outer condition as well. At the beginning, I couldn’t see the path. Joetta held firm to the knowing that the path was there, which gave me the confidence to do the simple steps that we identified each week. Although I could not see the outcome, I can now say that the outcome of financial mastery is well on its way. Working with Joetta will change your life. You will not be limited to spreadsheets and budgets, but rather liberated into the workings of your own unconscious mind. She will guide you through the thorns of your financial fears to gather gold and wisdom along the way. She will help you truly understand that our greatest wealth is an understanding and acceptance of yourself and your patterns, so you can then cultivate true abundance in all areas of life. Enjoy your journey! Mastering your money is a transformative experience where the realization of your dreams and aspirations is no longer just a fantasy. You too can build a life of financial consistency, clarity, and confidence.